People who buy Bugattis are in a very different price bracket than the rest of us. You know, 99.9 percent of car buyers. 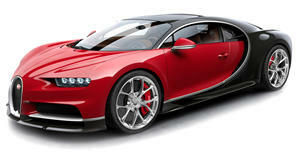 Nearly every Bugatti is built to order and the Volkswagen Group-owned brand fully intends to keep it that way. Now that Stephan Winkelmann is CEO, having briefly headed up Audi Sport after ten years leading Lamborghini, expect to see more special edition and one-off models, such as the new $18 million La Voiture Noire, built in celebration of the company’s 110th anniversary. 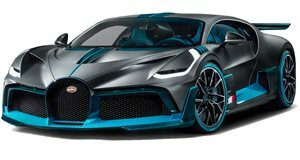 Its owner remains a mystery and, according to Bugatti design director Achim Anscheidt, Bugatti employees "are advised not to disclose any of (its) customers completely, including the Chiron.” Fair enough, but what we wanted to know when we spoke with Anscheidt at Geneva was how these ultra-wealthy are chosen. How does one get asked to spend eight figures on a hypercar? The completion and delivery date of the homologated version remains unknown. Also, the mystery buyer only had "very little” input for the La Voiture Noire’s design. "Our instructions for these kinds of projects is to go one level even more extreme for a single-build car for one customer only,” Anscheidt said. In that respect, it was mission accomplished.